In particular, note how everything I said in my previous post about what went on at the Q&A is verified, and in fact you now have the details. I will try to mention the specific time points to refer to as I go along. Also note that there is a segment at about the 47:45 mark in which JREF’s Brian Thompson (blurred out but still recognizable) speaks with the husband of one of Burzynski’s patients that is worth watching and that I will briefly discuss further into this post. Merola’s ill-considered Twitter adventures got me interested in what he might be up to again, as did learning that he would be appearing at a screening of Burzynski II in Toronto. As with Merola’s screening at San Luis Obispo on March 10, this April 5 screening in Toronto was attended by at least one skeptic, who was kind enough to do the same thing our colleagues did in California and provide me with notes. I hope that my discussion of these Q&A’s will serve, along with my previous discussions, as educational background for skeptics who attend further screenings of the Burzynski movie, for example the upcoming screening on April 27 at the Newport Beach Film Festival, which will feature the same two Burzynski patients (Mary Jo Siegel and Tori Moreno) and where, we are promised, there may be a “surprise special guest,” which makes me wonder if ol’ Stan himself is going to show, given that we already know that his son Dr. Greg Burzynski will be there. The very first thing I noticed upon viewing the YouTube video of the Q&A from March was that the sheer conspiracy mongering that Merola engages in was not adequately captured by the notes. It is truly, truly over the top, fully into Gary Null, Mike Adams, and Alex Jones territory. For instance, take a look at the segment beginning at about the 13:56 mark, in which Merola discusses how former senior advisor to President Obama David Axelrod allegedly watched the film. I wrote about this in my first discussion of this movie a month ago, but the reports I got failed to convey the full scope of its true conspiracy theory awesomeness. If you want to know the utter intellectual dishonesty of this answer, realize that the segment that Merola included in his movie was nothing more than a clip taken from the Virtual Skeptics podcast (episode 13, to be precise) in which Bob Blaskiewicz was talking about Burzynski and his plans to raise money . However, in the movie, he implied that it was some sort of secret conclave of skeptics plotting, blurred out their faces, and gave Bob Blaskiewicz an electronically distorted voice while creepy music played over the parts where he talks about Burzynski and how skeptics have to answer him online. Indeed, Merola’s segment in Burzynski II was apparently so over-the-top that the Virtual Skeptics recorded a segment in which Bob put devil horns on himself and proposed some “video extras” for Burzynski II. Also note the disconnect between the movie, which, according to reports, implies that skeptics—excuse me, “The Skeptics,” to use Merola’s term in his movie—are some shadowy cabal, while in the Q&A he admits that this stuff is on YouTube. I was struck by how paranoid this sounded, even more so than I had expected based on reports I received. I was also further struck at how Merola describes Burzynski critics, who according to him are more than happy—proud, even—to “put their names out there” as “spineless,” when he himself has decided for legal reasons not to “name names.” Of course, maybe the reason his lawyers told him not to “name names” is because they realized that much of what he says is likely to be libelous. Certainly, I consider it so from what I’ve been able to gather. I’m also struck by how Merola refers to “The Skeptics” as “vicious, vicious people,” and then can go on Twitter and refer to me as a white supremacist and someone who’s too busy eating puppies to bother reading the scientific literature about Burzynski. Of course, what really bothers Merola is he knows damned well that I’ve actually read nearly every paper I can get my hands on about antineoplastons. I also have the skill set to analyze them, and I wasn’t impressed. Predictably, Steve Siegel pounced, offering to take Thompson to lunch and show him reams of “peer-reviewed publications.” Merola pounced, following Thompson with a shot of a PubMed search. Of course, I couldn’t help but laugh because the very first article on the PubMed search was one that I’ve blogged about before, as self-serving a bit of nonsense as I’ve ever heard from Burzynski. Certainly, it shows no new data, no clinical trials, no science other than Burzynski’s claims to be some sort of pioneer in “personalized gene-targeted cancer therapy” that M.D. Anderson and other renowned cancer centers are only now following. The whole thing closes out with a shot of Steve Siegel and Eric Merola gloating about how skeptics “don’t know what they’re talking about.” Ouch. It’s an incredibly easy trap to fall into if you aren’t intimately familiar with Burzynski, and unfortunately Thompson fell into it. In fact, Burzynski does publish. That’s not the problem. The problem is that he publishes in bottom-feeding journals and has not yet published a completed phase II clinical trial. That’s plenty bad enough. Burzynski has only published abstracts and partial reports on phase II trials, none of which are particularly convincing. His publications are all, as far as I’ve been able to tell, crap, and I’ve read nearly all of them. If there’s anyone who personifies the term “delusion of grandeur,” it’s Eric Merola. As skeptics, we need to remember that. We also need to stay utterly science-based in our criticism as possible. In other words, when it comes to reason, science, and medicine, we need to be the anti-Merola. For legal reasons? The only legal reason I can think for him not saying any names is because he’s lying. There would be nothing illegal in stating facts, citing sources properly, and speaking the truth. One wonders if his “legal reasons” are more to play the victim than to actually avoid legal action. Seriously, can someone tell me what legal action anyone could take if he published an excerpt of a publicly posted blog or podcast? Because, again, I can’t think of any. Oh, look, Axelrod and I have the same alma mater and the Institute of Politics is a whole two blocks away. I’d drop him a note if his E-mail address weren’t hidden in the on-line directory. I can’t think of any legal reasons other than not wanting to be sued for libel. Interesting that he mentions that we have no problem letting everyone know our names. I suppose I must be very low down the hierarchy then! One reason I continue to write under a pen name is that I know how intimidating people like Merola can be. I already know what my house looks like on Google Earth. Yes – that was Marc Stephens, who Burzynski has now disowned, but let’s not forget that Merola contacted Bob Blaskiewicz’s employer over Bob’s ‘extra-curricular activities’. There are some vicious people out there who don’t care about the truth and have to rely on outrageous conspiracy theories. He got that bit right. All these important people are arranging confidential private screenings of Mercola’s movie, and accepting everything in it uncritically as fact! What more support does his self-esteem need? “Allude”, he keeps using that word. I do not think it means what he thinks it means. I suppose Lithgow wouldn’t be interested, having already done Emilio Lizardo. Gary Busey might be able to pull it off, but it would take some work to really kielbasa the joint. “Watch DG Squirm” by Jake Crosby, AoA. “Watch DG struggle”: he is “the most prolific defamer the vaccine lobby has ever dumped on the blogosphere’; he composes “inarticulate on-line rants” and got a “30,000-euro grant from Bayer”. His “failed 2005 promise” is discussed – as is the after talk wherein G’s “hostility” is revealed; the “words ‘covered up’ got to him”. I could go on but won’t. Yes, Jake has captured the essence of their fated meeting. I have been able to view videos intermittently lately and have seen the interaction he’s discussing as well as two other videos involving Jake. Of course, I would never diagnose a person but like everyone else, I can observe and comment. Readers can refer to the videos and articles themselves, which are public, then creating their own opinion on the matter. Jake does not live in the real world; I will go out on a limb and guess that he has problems interpretting how others behave, their motivation and what they mean when they speak English; in addition, he seems to perseverate on tiny, usually peripheral, details, failing to evaluate their import globally in regard to the issue at hand. I would venture that he has difficulties in self-evaluation as well, not being able to discern when he is in over his head. As I have predicted recently at RI, his hatchet job does not contain data or documentaion of his claims- where are the pay stubs, Jake? Photos of Orac committing malfeasance? Print-outs? Tapes transcibed from phone conversations? However his prime audience accepts ‘research’ from AJW and every lame-brained hypothesis that his cohorts elaborate from shards of emotionalised havoc spewed from the nether reaches of their unconscious minds** so I imagine that they’ll have no problems with Jake’s fabrications and embellishmments- a veritable Rube Goldberg device outfitted in convoluted plotting worthy of a Stieg Larsson trilogy. And I’m sure I’ll be accused of accepting money or ‘hospitality’ from our esteemed and gracious host ( with the most), Orac, for defending him. Oh. Right. You got me Jake. Ouch! ** metaphor: I don’t actually believe in the unconscious mind as vividly portrayed in older psychological theories. One wonders if Merola’s lawyer is Orly Taitz. They have so much in common. Pardon me, I seem to have problems reading my notes..
from the tears in my eyes, most likely. @narad – Wow – a Buckeroo Banzai reference! Ten points right there, brother. Now, on topic… I don’t understand, from my Australian perspective, why these guys haven’t been pulled up for their evident abuse of the medical system and nearly everything else that matters. I have my popcorn ready. Sadly, the PR war is already lost. I attended the AACR (American Association for Cancer Research) Annual Meeting in DC last week. Alas, I did not see Orac or his friend in the crowd of over 18,000 researchers, doctors, and scientists. But when the bus driver (on my hotel shuttle to and from the Convention Center) learned that I was a cancer sufferer his very first words were, “have you heard of this fellow, Dr. Burzynski?” However, he was amazed and eventually thankful to hear “the other side” (i.e. the truth) behind his scam. These are the folks who need to be reached – not Mr. Merola and his sycophants. <blockquote.And I’m sure I’ll be accused of accepting money or ‘hospitality’ from our esteemed and gracious host ( with the most), Orac, for defending him. wherein G’s “hostility” is revealed; the “words ‘covered up’ got to him”. I could go on but won’t. What’s also highly amusing about Jake is how he thinks nothing of calling people liars, in the pay of big pharma, and even downright evil; yet if anyone gets the least bit critical or insulting in talking to him he clutches his pearls and cries, “Civility! Oh, the humanity!” Apparently civility to him is a one way street. Puppies have much too much fat for my liking. I usually send out for grilled baby birds myself. Wrong word, wrong idea, wrong planet as per usual. I counsel people and there’s something I truly wouldlike to say about Jake but can’t.. Orac and the minions don’t need to be psychic to imagine what it is. Good advice, Orac. Definitely need to know your material front and back before going in against any woo peddler like Merola. I had a nice chat with Steve Novella at NECSS about live debates with people like that (the context being taking on the anti-vaxer at TAM and his appearance on Dr. Oz). Know your stuff and be polite and keep your composure. Even an eye roll can undo anything you’ve said. I suspect a lot of the people who fall for this idea of a skeptical cabal don’t understand the idea of peer networks. There’s no fish in charge of the school, just individuals responding to the actions of their neighbors, leading up to emergent behaviors in the whole. There are some big fish, but they have influence because they’re well-connected nodes, not authorities who can pull rank or hand out marching orders. That’s part of how the Streisand Effect leads to increased exposure. Someone nibbles a quack with valid criticism and finds himself facing intimidation and censorship by baseless lawsuit. His friends bring more attention to the issue, and their friends tell their friends, and so on. Next thing you know, the quack is in the spotlight, swarmed by critics who know what they’re talking about. I do enjoy an accidental neologism. Inarticululate vb. – to attempt, ineptly, to let out a long, wavering, high-pitched vocal sound. Thanks. Always glad to be of service. I seem to have had difficulties reading my notes AND typing. Given the quality of the material involved, I am fortunate to have avoided other accidental ‘spillage’. I have a gremlin in my computer that adds typos to my comments after I have proof read, that I notice about a millisecond after I submit them. I have heard that Eric Merola was also heavily involved in the making of Zeitgeist, so his intellectual dishonesty is not too surprising. “Brain tumors are not a money raising factor because it’s a minority cancer. If this were treating mainstream cancer, as they are called, like a breast cancer, maybe they would look at it more seriously, but the numbers with the brain tumors. . .puts it in the category of not so feasible as far as money making, and so the priority, even though it’s the most vicious and it should be looked at more seriously, but it’s not the one that brings in the big bucks so let’s put it aside”‘. This scientist also believes that the FDA “is just buying time; they just want to have him keep bringing numbers”, because the acceptance of Burzynski’s work is inevitable. Even an eye roll can undo anything you’ve said. That’s what would probably undo me. I can’t help rolling my eyes when someone like Eric Merola or Jake Crosby says something incredibly stupid. I find that if Iclose my eyes and sigh, no one will notice the eye rolling. And I try very hard not to blurt out, “Oh, J-sus!” or “Surely, you are joking”. The length that DG guy is going through to get attention, he even tweeted a link to Jake’s article instead of quivering in the corner, blinded by Jake’s intellectual brilliance. There’s no fish in charge of the school, just individuals responding to the actions of their neighbors, leading up to emergent behaviors in the whole. According to Rupert Sheldrake this is due to a “morphogenic field”. Fear the evil skeptical morphogenic field woosters. I certainly picked a good day to stay around here. The comments following Jake’s *piece de resistance* are similarly *intriguing*. Hmmmm. Perhaps it’s wrong of me but I feel great sympathy for the AoA faithful- being led into deeper darkess by the un-seeing mindlessness of their leaders. If only I could ‘get through’ to a few of them. There have to be some on the edge who might curiously read Orac’s words or listen to the entire tape and perhaps wonder if Jake really has a grasp on what happened or if there is just the slightest possibily that he is off his mark. Some one would have to question why educated people like Orac & Company would take so much time and effort to counter alt media prevarication. Most of us could earn real money plying our own trades overtime instead. If Big Pharma doesn’t pay us, why would we be so adamant and devoted? Are there any updates from the FDA about the extended audit conducted at the Burzynski Clinic? Christoph Waltz as Stan Burzynski?…I don’t think so. Hmm…. Young Masster Jacob’s frothing about Orac’s friend getting a Bayer grant as evidence of a Big!Pharma!Conspiracy!, but doesn’t he have some sort of family link to Monsanto? Also WRT puppies- the fat is what makes them taste so nice. However, longpiglets have even more fat, and the younger they are, the better they taste. I like mine with black pepper and lemon, or a nice tomato and mascarpone sauce, with basil and sprinklings of Gran Padano. My thought when I read that was Christopher Walken, as well. He could capture the essence, I think. Stop calling me Shirley. With that degree of conspiracy-moongering BS, I would probably be making comments more along the lines of “Are you f*ing kidding me?” The people who have the patience to calmly and effectively deconstruct the woomeisters (Novella et al) have all of my respect. Apparently? That’s fundamental for AoA. Jake must be having fun figuring out how to combine the fact that mercury exposures were dropping by 2000 in the Price study and supposedly for his Alabama cohort, but he still claims in responding to DG that mercury was in vaccines until, what? 2003? 2004? 2005? He will be finding new inventive ways to claim that mercury dunnit for decades to come. I wonder if anyone will still be listening. Perhaps he can make a website with levetating dolphins and satanic ley lines to house his hypotheses. 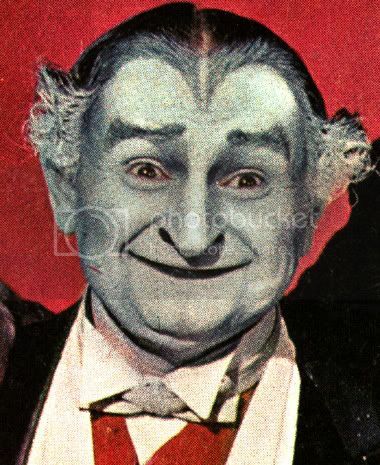 @ Mu @ Roadstergal: Too bad that Al Lewis (Grandpa Munster) is dead…. Delightfully, Dana Ullman elected to horn in on Jake’s AoA item. Interesting blog post on Eric Merola’s link to “Zeitgeist.” Apparently, it was his brother or something that did that movie. Boston Marathon. Explosions. Tragedy. Loss. Mourning. I give Age of Autism two weeks at most to post an article linking or comparing these incidents to autism. It’s what they do. I have just discovered that Eric Merola has served me with a copyright take down notice for my YouTube video on the Burzynski Clinic… one that Orac featured here several weeks ago. The only thing close to being copyrighted is a brief image of the poster for Merola’s film. The whole video is made of static images and my voice-over. This is an unabashed attempt to silence critics… again. You can find a mirror of the video here. Feel free to download and mirror if you like. Did you file a counternotice? Regrettably, section 512(f) is more or less impotent, but you can at least enshrine it for posterity at Chilling Effects. Can’t Lord Draconis Zeneca provide us with similar memorable slogans (as well as a logo)? Also, I’m running low on free coffee mugs and T-shirts. @lilady: How about Dennis Franz? I just started reading the post (busy day and it’s now 0:23 on the 16). I might need to be psychic because I would have a lot to say to JC. @C0nc0rdance, how do I mirror your video? can you send it to me? He’d have to wear a rug. 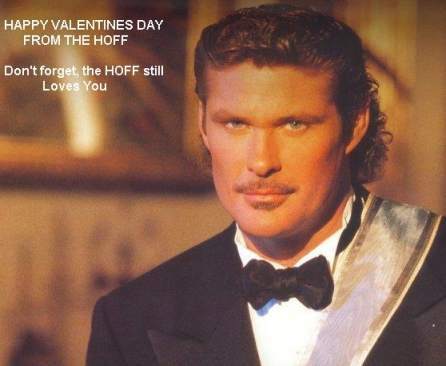 David Hasselhoff might be a possibility. We may have a winner in Aleksander “Olek” Krupa (left), who also has plenty of English-speaking roles to his credit. Jake could benefit from advisors outside the sub-culture of anti-vacciniana he currently inhabits. Education provides more than just “book learning” but should also be a window unto a larger world: new students meet people from all over the globe- who speak other languages and follow other traditions from their own. Ideally, universities should be a gateway to freer thought and a wider grasp of general information that goes far beyond a student’s own area of focus. It’s healthier want to learn about how others think and live rather than constantly re-playing the same stale, old tapes that exist inside your own head. Which, judging from his writing, is what I suppose he does. Jake seems to have been working on increasing the amount of tunnel vision he currently suffers from DESPITE attending decent schools in modern, liberally oriented cities. All of his family’s money can’t fix that. Just listened to your talk with Jake’s question….I like that when he starts talking you can hear someone whisper “he’s crazy.” Nice. I’d vote for Harvey Keitel to play Burzynski, but only because Brother Theodore is no longer with us. Oh FSM preserve us, no wonder this kid has such a swelled head. You heard it here folks, AoA is more prestigious than any of those so-called medical journals! Well, Krupa was in one episode of the US remake of “Life on Mars” with Keitel, so maybe they could work together. how do I mirror your video? can you send it to me? Alain, I can get you a copy if you don’t know how to download YouTube videos (which can be a pain in the tokhes). Note to c0nc0rdance: You might want to drop a line to ken [at] popehat.com. I’m also Narad over there, and we’ve exchanged some brief correspondence in the past. See my remarks on the ‘culture’ [-cough-) of AoA above. You know what’s funny? Jake posts his version of events, whereby he claims that autism numbers are dropping, proving to us he doesn’t know squat about “prevalence.” Then, right after his post on AoA, comes Anne “Xerox” Dachel telling their followers that numbers are going up. True to form, no one questions AoA on why one contributor says numbers are falling while the other writes that they’re climbing. And anyone who does probably doesn’t get their comment published. Dullman tweeted this week that AofA is more credible than the BBC (I’m paraphrasing but that was the jist). Speaking of the BBC, any word on when the Panorama episode dedicated to Count Stan will air? Yes please; I could do it on a linux workstation (with a python script) but not in windows. [email protected] – well, he is a homeopath, so that comparison probably makes sense to him. Homeopathic logic would dictate that a single-issue crank website full of misinformation is more valuable than an internationally-renowned news organization. the above post was addressed to [email protected] Sigh. I sort off get it that it’s healthier to have many advisers (sp? autocorrect from chrome) and I’ve been thinking of doing that myself in the future (say, apply for a visa and do a master in the USA). I want to rotate between different labs with different granting organism (NIH in the US, CIHR in canucksland). It feel to me that Jake is on a power trip and will gladly use it against its perceived enemy and thus, he tried to use his finding to discredit Orac. Does anyone else note the irony of Blaxstead railing against Jake’s “journalistic integrity” when he is aiming his limp knob at them but have no problem with his “journalistic integrity” when Jake turns on Orac? Alain – you need a copy of Applian Media Catcher. Just sayin’. Noted? I tasted the irony without having to open my mouth. MO’B, duly noted, googled it, look fine, will shell out the credit card in a few week to buy it out. #64 “Advisers” is correct. It is also AP style, followed by newspapers. “Advisors” is also correct, but it is not AP style. will shell out the credit card in a few week to buy it out. Eighty bucks? On sale? I was able to simply* pluck the Burzynski video out of the Firefox cache. You can do this for free. As for “adviser,” I wouldn’t take AP style too seriously. There’s a slightly more formal connotation to the ‘-or’ version. * Aside from the part where OS X really, really wants to hide this for some reason. From what I can glean from his incoherent babble, he posted a comment on the Forbes article that purported to have uncovered some conspiracy that Dr. Lipson and Orac are friends (or “buds”) and that prompted Dr. Lipson to delete the comment. As far as I know, the authors of Forbes articles doen’t even have the power to delete comments, so maybe Forbes smelled the crazy and deleted the comment themselves. It’s not quite along the same lines as Alex Jones’s conspiracy rantings about the Boston bombings, false flag attacks and “The Craft” but loony tunes nonetheless. Since DJT has already proven to be a 9/11 truther, he probably also believes that Navy Seals planted the Boston bombs with the cooperation of the FBI and the two brothers were just “patsies” who were set up and/or framed. As a longtime university lecturer of Critical Thinking, I am concerned about the level of rhetoric and illogical bile that is published here in response to a fairly straightforward documentary about the theft of intellectual property and outright fraudulent science. No doubt, Burgynski nor Merola are without failures or financial motivation for telling their stories, but that is the nature of edited material, and others are free to do their own stories that may complete the work. But the repeated rhetoric from the author of this blog, undermines the legitimacy of this site and should more seriously be screened unless, in the name of business and not science this blog does not care about anything but hits. Then pray tell, what do you find objectionable? I’d like to know. Also, read the title of the blog. It may give you an explanation. If your comment is any guide, you seem to make no distinction between “critical thinking” and “pompous verbosity”. Why are you dogging Alex Jones? Don’t attack someone unless you have evidence. Many people are suspicious of big pharma without cheating other people. I bet AJ would even disavow Burzynski. Just watch Burzynski’s demeanor – any sensitive soul can tell he’s an evil self-centered something and so is Eric Merola. It’s called nihilism.